Hilton has revealed some major changes to their loyalty program, and I just had the chance to speak to Aaron Glick, Hilton’s VP of loyalty, about them. While the new program will officially be communicated to members tomorrow, details of it are already emerging. My initial impression is that I’m quite excited and optimistic about these changes. Hilton wants to simplify their loyalty program as much as possible, and a small part of that is simplifying the name of the program. Rather than Hilton HHonors, the program will now be called Hilton Honors. The first “H” in the old name really stood for Hilton, so the old name was repetitive. It’s similar to how American’s frequent flyer program is called American AAdvantage, which can create some confusion — is it pronounced “AAdvantage,” “A-Advantage,” or something else? Hilton is completely changing up their current points plus cash bookings. Soon it will be possible to make a points and cash booking for any reservation where a standard room is available for sale. You’ll have the flexibility of a sliding scale, where you redeem anywhere between 1,000 points and for the full cost of the stay. While the pricing will be mostly linear no matter how many points you redeem for each particular booking, the value you’ll get per point through this option will vary depending on the reservation. We’ll have to wait until we have a better sense of pricing before we draw too many conclusions. As part of this, Hilton is also ditching their current system of having hotel categories. That sounds horrible on the surface for aspirational redeemers (it reminds me of Delta eliminating award charts), but it’s not — Hilton won’t charge more than the current maximum being charged for a given category. In other words, the top hotels will continue to cost no more than 95,000 points per night. Instead we’ll see some hotels become cheaper seasonally. Hilton’s program is already the closest hotel loyalty program to being revenue based, so I suspect we’ll see that trend continue. So in other words, you can redeem 5,000 points in place of $22.95, or 15,000 points in place of $69.25. That’s actually really good. Hopefully other values are just as good. Starting this spring, Hilton will introduce points pooling. This will allow members to share points with up to 10 family members or friends at no cost. Each member can share up to 500,000 points per year, and have up to two million points shared with them. This is a fantastic new opportunity that I’m very excited about. There are presently a few points currencies that can be redeemed through Amazon. Soon it will also be possible to redeem Hilton points for Amazon purchases. It’s nice flexibility to have, though ultimately is rarely a good use of points based on the cent per point value you’re getting. Then again, everyone has different goals with their points, and not everyone values them as much as we do. So I don’t see myself using this benefit, though I’m sure others will. I asked about how much each point will be worth towards Amazon credit, though they’re not sure yet. Here’s something we haven’t seen before from any hotel loyalty program I know of. Sometimes life just gets in the way of requalifying for status, so Hilton will let members extend their Diamond status by one year as a one time benefit. This will be available to those who have been a Diamond member for at least three years, and have earned either 250 elite qualifying nights or 500,000 base points. Overall color me excited and optimistic! What do you make of the changes to Hilton’s loyalty program? I love the points pooling. My wife and I both travel however I am a Diamond member and she is usually silver or gold. It will be great to transfer her points to me so we can utilize the Diamond benefits for all of our leisure (points) stays. Call me a pessimist, but I’m willing to bet that the room I want, on the dates I want, will cost more points the new way than it did the old way. I recognize corporate double speak when I see it. That’s because I’ve done it myself! There’s always a hidden agenda. I don’t want to call 0.4-0.5 cents per point “really good.” That is way less valuable than current Points + Money structure where 1 point can worth more than 1 cent. Do you think the variable points system will work with the 5th night free benefit? Or will that remain with only full point redemptions? Any word on how current status will be affected (if at all)? I’ve got diamond until 2018 through a status match. I won’t qualify for it through stays this year, so hoping that they honour current expiry dates!? @ Steve — This will have no impact on current Hilton status. @ dc — I believe that will just work for outright points redemptions. Thanks for the update Ben. The Category 10 Conrad Tokyo is charging 232,500 HH points for the night of April 3rd, 2017. Under the new program will the Conrad Tokyo only charge a maximum 95,000 HH points at all Cat 10 properties, or provide customers with the option to use a points & cash sliding scale – for example – to pay for the 232,500 points required for a one night stay at the Conrad Tokyo on 4/3/17? Many thanks. -Currently points plus cash rewards don’t receive HH points, do you know if this will change? I would hate to save $22 but not get any points for the room. -Any updates if the Gold/Diamond benefits are changing? -Do we know how this will affect premium room rewards with the new revenue based system, now you can sometimes get premium rooms for cheaper than standard rooms in low season. Sugar coated poop to me. Ben, thank you very much for posting. Right after I read this I went to book a redemption I was thinking last couple of days. I have no doubts it will cost more after “enhancements”. Points + Cash. Yes, currently the availability is very limited and the value is not always there. However there are still cases where you get pretty good value. I was staying at Hilton Orange County in December for 8,000+$40 instead of paying $200, i.e. 8,000 points saved me $140. Under the updated scheme we’ll get guaranteed poor value for cash+points. Everywhere. No exceptions. “Enhancements”. So I really don’t get what made you so excited. The most important thing in the program is redemption values. There is no sign it could better. They could’ve also improved elite benefits (on the surface: late check out guarantee, suite upgrades) – there is no even hint on that. These changes are NEVER good for us!! Of course this is a stealth devaluation. At the very least Hilton wouldn’t make a change unless the savings outweighed the costs of making it…and in this case the “savings” would come in the form of higher costs to program members. You watch, they will rationalize the points so that there are no more great values to be had at aspirational properties, just more opportunities to get $0.0045/point. This just means they don’t have to announce when redemption costs go up anymore, unless they raise the top rate of 95k. Stealth devaluations and unannounced hotel category changes will become the norm. I’m afraid this will be bad overall… If nothing else, points pooling is a positive, and our community always finds the best values in any system, no matter how flawed. There will be some needles in this haystack. Ben, please don’t drink the Kool-Aid on this one! This Aaron Glick is obviously trying to pull the wool over your eyes so he’s not such a good guy. Yes, point pooling will be nice but this is definitely a stealth devaluation. Eliminating the award charts is never a good thing and the new points & cash rate of $0.0046 is really not “very good”. Hilton should have taken the “Honors” out of HHonors instead of just the extra H.
Time to burn my points. I have to agree with the others some nice positives but outweighed by the negatives. Not sure where your excitement comes on the cash + point rate I find it meh. Not awful but not very exciting and one wonders if this is not the best example vs the average example. you’ve completely lost touch with your readership. all you do is consider the ‘aspirational’ property. the indisputable FACT is that the only great value in the program is Cat 1-4, mostly 1-3. get a hotel selling for $150/night for 10,000, sometimes 5000 points. eliminating categories and introducing that ‘slider’ you’re so jazzed about means that the value of the room in points is now completely tied to the ever changing room rate. THIS IS TERRIBLE TERRIBLE NEWS. How much did Hilton have to pay for this PR fluff? I think the Points + Pay represents very poor value. @ Buzz — That’s the cost to purchase them, though I don’t generally recommend buying points without a specific use in mind. My valuation of Hitlon points is 0.4 cents each, so this represents a value above that, which I consider to be good. 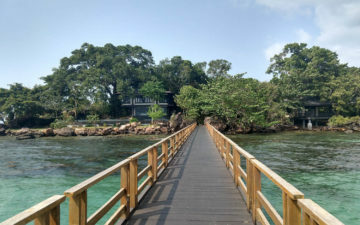 You still have the option of redeeming at a property like the Conrad Koh Samui or Maldives for 95,000 points per night with the fifth night free. That’s not going away. All I Have to say is: Have you lost your mind Ben? For most people (non-millionaires) I think the primary value in the Hilton program was the consistency of valuable points earning promotions with the ability to redeem them efficiently at low category hotels. I earned nearly 10K bonus points from a recent one-nightstay at Hilton Gdansk in a Standard Room booked on a Winter Sale rate, all thanks to stacking of bonuses such as Triple Points and 5K Visa bonus. That would get me 1-2 nights free somewhere else. I don’t really care about Bora Bora whatever or Maldives and I don’t really get the bloggers obsession with these properties – those are once in a lifetime places not the bread and butter hotels I visit every other week. I guess it was too good to last. Sounds like Aaron sold you a bill of goods. I am In a room right now. Category 2. $139 per night and I paid 4,000 pts + $35. This new program will offer this …… NEVER. This is going to be VERY VERY VERY VERY bad. But yes, I suspect this is a stealth devaluation. Y’all are so negative. Some of these changes sound fantastic to me. Free points pooling and flexible cash and points rates? I’m so up for that. At my recent stay I didn’t have enough points (by about 7,000) and didn’t want to buy them just to redeem 70,000…this gives me another option. When using the points and cash option, will the points deduct from the higher danceable rate or the lower advance pay rate? I have an upcoming stay where I advance paid for an inexpensive Sunday night and used a cash and points booking for what would have been a higher priced Monday night. With this new flex rate, I am concerned we will lose the benefit of a fixed price for cash and point booking. If this proves to be a loser, Hlton points will only still offer strong value, in some circumstances, with the 5th night free VIP benefit with points bookings. Lucky, you’re readiness to spin these as positive changes because Aaron is a “great guy” really makes me wonder about your objectivity. Dropping categories and aligning redemptions to rates is a HUGE NEGATIVE, and the only one that most members care about. Pooling is cool, but that comes at a HUGE COST. I was actually kind of sad to empty out my balance for a trip this week, but now I am almost relieved that I got decent value of 1.2 cents per point. We won’t see that with the new program. What about the free night (get 5 nights for the price of 4 when redeeming points)? Is that going to stay? Really wondering what Lucky is getting out of this to spin a program going less transparent as somehow a positive thing. This change is really terrible for customers. I am not sure why the OP got so ex it’s about it, because – as many have said – while cash+points are not always available today, they represent a great value whenever they are. This change, instead, makes this option not attractive at all – and it’s honestly a big slap in the face of frequent travelers like myself that EARN their 200-300k each year by staying at Hilton properties around the World dozens times a year. 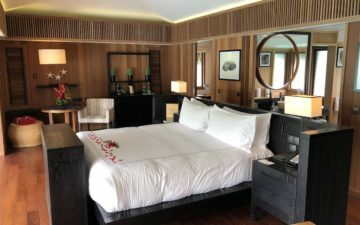 The fact we do not get suite upgrades is already a big letdown – now even redeeming points will get harder – because, let’s face it, Hilton rates can be outrageous. yes points are worth dirt with this enhancement, that’s why they let you pool the points, it’s not gonna be enough with just one account. basically HH is going to clean out all outstanding points in the wild really quick. a couple of years their overnight deval is still lingering sour, they have kept that up now. no wonder there is no honor in hilton. if hotels are in a race to the bottom like airlines I am moving out of this country. I think these changes will benefit the 59Million Honors members who are infrequent guests, not the 1 million frequent guests. The standard room rates are usually less than that value already – I’ve only found exceptions for new hotels or during unusually busy/expensive periods. Pooling points and using them at Amazon (for probably low value) also benefits people with few points, not the frequent travelers who have lots of points and wouldn’t spend it at Amazon anyway. As others have said this kills all the value in the category 1 and 2 hotels overseas. Hilton Salalah Oman won’t be 20,000 points for a 5 night stay. I can guarantee it will be closer to 100,000. Same with all the low categories in Egypt. I hate to break it to you, but I think you’ve been sold a bill of goods. These all sound like corporate doublespeak “enhancements” as Denis says. While the application may be more widespread, the new points + cash option is in no way a better value than the existing program. The last time I took advantage, I effectively used 12,000 points to buy down $110 of room rate. The numbers your contact uses in his example are nowhere close to that redemption rate. Furthermore, I suspect what you’ll see is a stealth upwards category shift of properties over time. If the point value really is fixed between .4 and .5 cents, what’s going to happen to that Category 5 Doubletree when the rate goes up to $250 during a special event? You’ll forgive me if I’m skeptical that Hilton will really allow a 40k point redemption. I’m sure the “enhancement” will be the introduction of something like AAdvantage’s “Level 3” Anytime Awards. Naturally, it’ll be spun as “giving members more choice”. And of course, with no award chart, the average Honors member will be none the wiser. At least the name isn’t changing to “Universe of Hilton”. That’s the biggest positive I see here. However, the amount of points needed has gone up! Also, the policy of any child over 6 being considered an adult and charged full price to stay in ludicrous. Just that charge alone, stops families staying at Hilton. I doubt they would allow my 12 yr old to purchase alcohol at the bar. So which is it? Lucky come on you are “The Points Guy” you know better than to get spun around by your “buddy” like this. At best that is 0.33 cents per point. At best! But let’s take as given that points are now worth a fixed 0.45 cents. Why would anyone use a Hilton Reserve Visa anymore? Let’s see how this redemption changes after Hilton does its thing. I will be back on this page to flag it for you. Oh schnapps! I JUST app’d for a Hilton card, planning to spend it at category 1 hotels. No way you can get that value with new system. Total waste of a pull. I don’t even have the card yet so by the time it arrives and I hit spend everything will be devalued for sure. Totally kills my nomad plans for the fall. I agree with many of the commentators here as to how this is likely to go in the medium to long term and I must say I’m a bit surprised by the naivety of the analysis! Ben, seriously, this is the end of the points game at HH. It’s dynamic pricing. And once you do away with the tables, there is no need for points to be capped at 95k. There is not even a need for HH to announce the changes to maximum cap, or doing away with it altogether. We will get much much less than 0.5c per HH point. HH redemption has not been that wonderful to begin with, though there were some occasional nice redemption spots. These changes simply devalued HH points altogether. Btw, has the changes gone “live”? Is every hotel now required to offer this flexi C&P? Perhaps for the very first time, ever, I am in full agreement with @Lucky regarding his take on anything related to Hilton! Time will tell, but at a first glance these Hilton Honors program changes have a lot of positives but no orfew negatives. In fact, they may be pointing to what will soon become the standard for the hotel loyalty program industry. For instance, one of the best redemption options in pretty much every hotel loyalty program that offers it has been cash+points. Well, Hilton Honors just offered their members UNLIMITED C+P options, on a slider! If a room is available for booking with cash, it will also be available for booking with any combination of cash and points, from 100% cash (i.e. cash only), through any combination of C+P, to 100% points (i.e., like current points-only awards). In fact, since I view this feature as a HUGE positive, I can now say that the changes are overwhelmingly positive because the rest of the changes, like the logical program name change or using points for Amazon purchases, are either neutral (i.e., no effect) or positive (e.g., being able to pool points to afford a redemption or having the option to extend one’s Diamond status for a year when one comes up short). The usual suspect will go negative on these changes and see nefarious intentions or a prelude to something that will eventually stick it to members, but that is simply not how Hilton operates. As @Lucky correctly pointed out, transparency has been Aaron Glick’s modus operandi! These changes, which I suspect will become trend-setting, now fully clarify a message that appeared for a few days on the Hilton Honors program’s website right after New Year: “Happy New Year! You’re going to love what we have in store for 2017!” INDEED! Happy to see that was in store was NOT a monstrosity like WOH! I love it already! @DCS wow, you’ve clearly not given it much thought then!! Caps on redemption cost at peak levels, fine as a protection but how long will it last for? More importantly no protection for off peak redemption therefore expect to lose any potential for disproportionate value from your points – instead just a straight cash rate. To give an example, Palmer House Hilton was 50k per night in Nov as generally rates low. However was $400+tax per night when I was there thanks to a conference. Under the new system the points rate would have been massively higher and only capped at peak rates, so about 80k or so!! 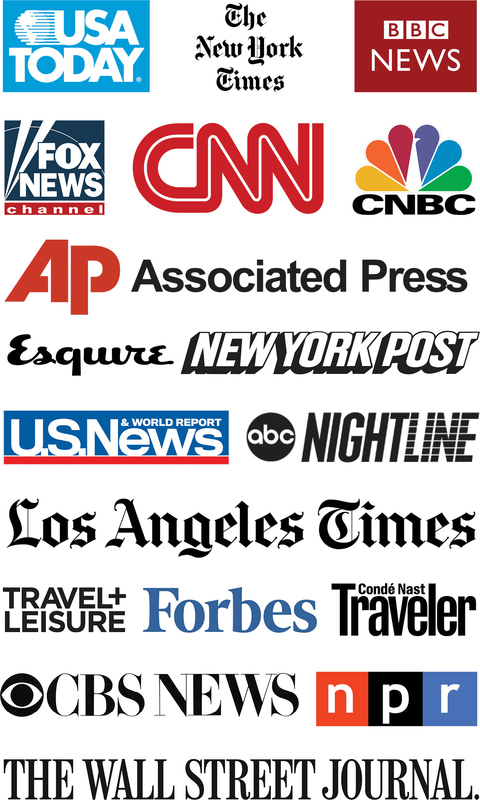 @Alan – DCS is the Baghdad Bob for Hilton…his opinion is divorced from the reality of facts. Virtually all the rest of the readers here realize the issues with these “features”. @Alan — As always, I have given this a lot of thought, without letting paranoia color my vision as it appears to have colored yours. First, like I said, time will tell and that should be kept as the backdrop until the changes have actually been implemented. Bottom line: time will tell but the fundamentals favor an enhanced (no quotation marks) Hilton Honors program. Hello Hilton, goodbye Hyatt! Get a clue Jeff Zidell. Hope he’s being paid extra to spin this one! It is clearly inappropriate to accuse someone of paranoia and I find it disappointing that you stooped to such a level, DCS. You also totally failed to address the key issue that I raised re the peak redemption rate being the upper limit. The points and cash rate for the November scenario I described would have been vastly increased vs 50k off peak redemption given the high rates at the time. It is this linking to cash rates that, although helpful in reducing costs in off peak, will inevitably increase costs at times of high cash rates, with only the peak limit to stop them reaching premium reward rate levels. I find it surprising that you could not see this after such careful consideration but given your main response appears to be to insult people I won’t enter into any further discussions with you. @Alan — Whatever. Time will tell. The “natives” are clearly agitating. Time to bail out! How does “for a given category” work when they’re ditching the categories? @ fireymike — They’re basing it on the current categories. Moving cash+points from its current system (where the cash portion is based on the award level and not the room rate) and tying it to the room rate and point requirement for an award stay is a pretty significant devaluation of the program for any award where the current costs for the cash+points award (both in cash and in points) are less than 50 percent of either the full cash rate or the full points rate. DCS and others can try to spin this as a positive, but the way this is being presented, it is nothing more than a gutting of the current cash+points awards. @Mike — You are basing your judgement on exactly the same information that we are basing ours. To then suggest that you have special insight that allows you conclude that this new system is a devaluation is just silly. @DCS – I am going by the information that has been publicly presented — that is, a sliding scale that alternates between full points and full cash. The logical conclusion is that there will be a straight-line linear calculation done to get between those two points — in other words, each 1,000 points provides a certain percentage discount off of the room price, depending on the award cost in the first place. There is nothing that has been presented publicly, either here or elsewhere, that suggests that the relationship between cash and points will be non-linear. Lucky himself suggests that there is a linear relationship in the example that was shown, as does the video that Gary posts on his blog that illustrates the multiple examples. Whether you like it or not, that calculation method results in a fairly significant increase in the cash+points price for a lot of hotels under the status quo, and all of your cheerleading doesn’t change that. Totally correct, Mike – the FAQ even confirms this linear relationship. So handy for those with insufficient points to make an all-points redemption but likely not the outsize value seen previously. The FAQ also confirms a cap on points cost at existing peak levels therefore high cost off-peak dates will have potentially a significant increase in cost, depending upon cash rates. All straight facts based on the FAQ. This is all about REDEEMING points. I think they also severely diminished the earning side. Double points is gone. The website said it is replaced by 2000 bonus points which means a loss if you are staying in anything but a Hampton. it also said, when I read it, “just make sure you book on the Honors app or Hilton.com.” I called, and they said that is incorrect. When are they starting this ? its says spring……I was wanting to pool some points with my husband as we are 9,000 points short in his acct and when I checked they are still charging to transfer points. They have made some not so good changes, most properties now redeem 2 Queen beds at a much higher redemption rate than a King in the same class room. This is true at the Homewood properties in particular. In the past I could get a King or 2 Queen standard reward room for the same point value, no longer. There seems to be a huge drop in the redemption value of points. I stay Hilton 2-3 nights per week with work, and used about 1 night per week reward stay. Where before I could stay Gatwick for 12000 points plus £42, it has now doubled to £95 with the same points. Similarly the money portions of other Hilton properties I use regularly have more than doubled – in some cases triple what they were before. This seems like a huge fanfare over Amazon redemption and pooling – while gutting the value of points. Hate, Hate, HATE the new program. Elimination of the categories and the old set value Points + Cash is an extreme devaluation of points for those looking to optimize their use of points. The old Points + Cash often offered some great values over an all Points award stay. Resort fees are only waived now for stays paid fully with points. Per HH rep, previously resort fees were also waived for Points + Cash stays. While this may be beneficial for people that have very few points and/or do not look to optimize point values, but for savvy travelers, this is yet another huge devaluation. Paid 8000 points and 40.00 for a room on January 31 at Savannah / Richmond Hills. Valuing the points at 1 cent each the cost was 120.00 Today with the new program, in order to get that same room for 40.00 requires between 16,000 and 17,000 points ! If I even give double the points I spent in January 16,000 the room costs 43.56. 17,000 points drops is to 39.60. I checked another hotel Emporia Va. to find similar results in effect this change reduced the value of my points to half of their value ! This change may apply to the low cost hotels on I95 and not destination hotels (which already seemed to value the points less) but these are the ones I use to go back and forth to Florida and I now feel this is a very bad deal for me. For example at 1 cent per point this values the cost of the room at 270.00 (27,000 points) where it was 123.00 just one month before. 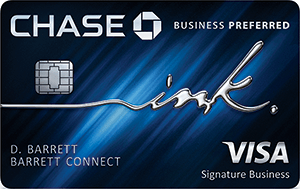 Now I am probably going to stop using the AMEX card and go to another card this is a game changer for me. This was done for no other reason then to screw the customer. Change the system to make us pay more and have us think we are getting a deal. Some of us are not that dumb. I have seen it with other loyalty programs with other companies. Just not worth it anymore.